1. The Origins of the 1960s Civil Rights Movement. 2. 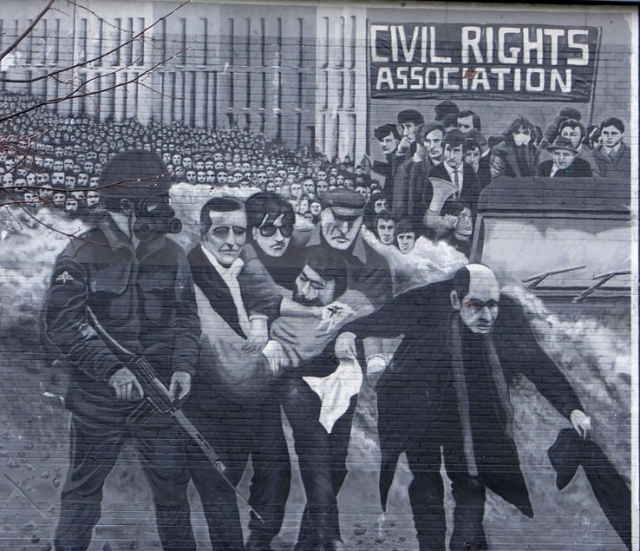 The Northern Ireland Civil Rights Association (NICRA). 3. The emergence of the Civil Rights Movement and counter demonstrations by the Reverend Ian Paisley. 4. Tension within Unionism, riots in Derry and Belfast, the deployment of the British Army and the creation of the Provisional IRA. 5. Armed Conflict. Relations between the British Army and Catholic community worsen. Internment without trial. 6. Bloody Sunday and direct rule.